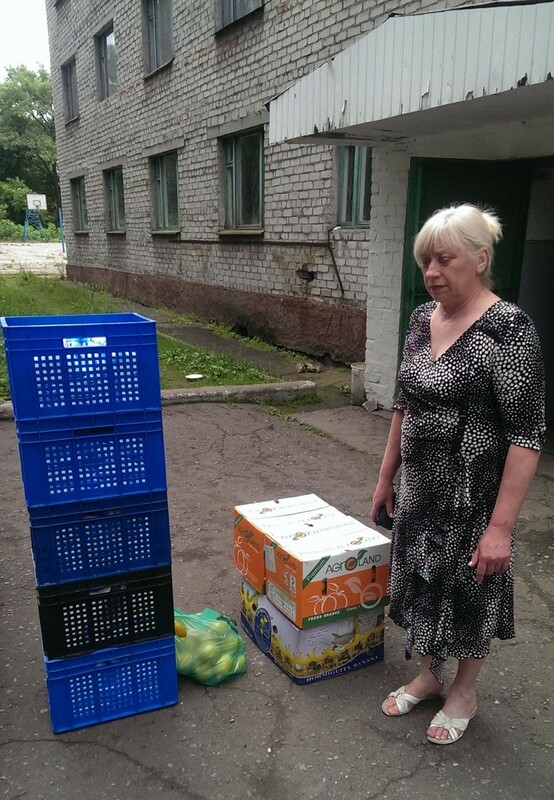 July 8, 2015: Today another $2500 was sent for those suffering in Eastern Ukraine. A total $12,500 has been sent so far and there is about $2500 remaining. The remaining sum will be sent in August. After that, it depends on what is collected in the future. Here is a translation of the June 30th letter Fr. Victor received via email. I would like to tell you about one group of people whom we help. For over a year, refugees from various regions of Donbas have lived in the dormitories of a medical school located in the city of Makayevka. Someone's house has been destroyed, someone else lives near continuous military operations. Basically, 100 people are living in the dorms, including children. Unfortunately, we can not help each one of them, but we bring a variety of products each month for all to share. Today we brought 100 cartons of milk, 30 kg of oranges, 20 kg of bananas and 5 kg of lemons. (66, 44 & 11 pounds, respectively). Thank you very much for all the assistance which you provide to our region's residents who are in need.